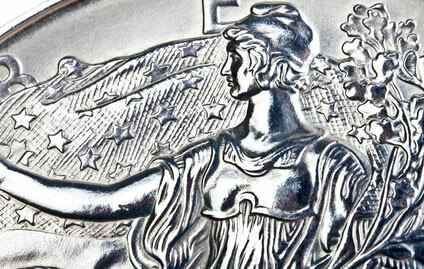 A new annual report released from the Silver Institute confirms that 2013 was a record year for the demand of physical silver around the globe. The World Silver Survey 2014, published Wednesday, May 14, 2014, indicates that demand for silver rose 13% to an all-time high. This increase was driven by a recovery in jewelry and silverware fabrication levels and by an astonishing 76% jump in retail investment in silver bars and silver coins. The latter increase can be, in part, confirmed by last year’s sales of bullion American Eagle silver coins from the United States Mint. U.S. Mint sales of the one-ounce silver coins reached 42,675,000, driving the year to a record level by surpassing the previous number one place-holder of 2011 by just over 7%. Demand this year for American Silver Eagles continues to be strong. Through April, a total of 18,469,500 have been ordered. This represents an increase of 0.9% over the same period last year despite rationing since their release in January. Sales limits are in place because of a shortfall in the supply of silver blanks. Suppliers are unable to produce the blanks fast enough to meet the needs of the U.S. Mint. As mentioned, production of jewelry and silverware also shot higher last year, attributed to an improved worldwide economic outlook. Jewelry demand rose 9.6% for the year with silverware production up 12.1%. Industrial fabrication demand fell slightly in 2013, down 0.4%. The fall, while moderate, was restrained by increased demand in Asia which had a 3 percent increase based on a stronger electrical and electronics sector in China. In total, worldwide physical demand for silver rose to 1,081.1 million ounces. On the flip side, supply of silver was down in 2013 by 2.7%, led, in large part, by significant decreases in scrap. An exhausted supply of silver coin and jewelry scrap saw numbers drop to 191.8 million ounces, down 60.8 million ounces from 2012. Production was up, however. New mine production of silver rose to 819.6 million ounces, an increase of 3.4%. The world’s leading silver producer was Mexico, followed by Peru, China, Australia and Russia. Primary silver mine cash costs rose 1% for the year to US $9.27 an ounce. The silver price averaged $23.79 in 2013, the third highest nominal average price on record. See latest silver prices. The World Silver Survey is an annual report published by the Silver Institute since 1990. Data for the survey was independently researched and compiled by the GFMS team at Thomson Reuters. The Silver Institute is an international industry association with members including silver producers, refiners, manufacturers and dealers. A news release about the World Silver Survey 2014 is located here.